Sweet Cheeks Adventures: Spongebob Squarepants: The Complete Ninth Season Available on DVD! 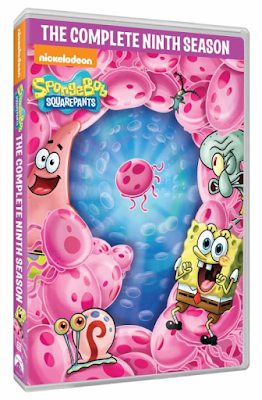 Spongebob Squarepants: The Complete Ninth Season Available on DVD! We received the following products for review purposes. All opinions are our own. Holy Cow!!! The complete ninth season, all in one place. The kids loved these episodes! Super excited to have them all in one place. SpongeBob and friends are back underwater with the DVD release of SpongeBob SquarePants: The Complete Ninth Season, which includes over 20 episodes and three double-length episodes from the show's ninth season. SpongeBob SquarePants continues to be the most-watched animated series for the past 15 years and in this DVD, SpongeBob, Sandy, Patrick, Squidward, Mr. Krabs and Plankton are up to even more of their wet-and-wild, deep-sea dilemmas! Whether it's SpongeBob searching for a job, Squidward learning the art of kah-rah-tay or Mr. Krabs getting married (to a pile of cold-hard-cash! ), the nautical nonsense is as rampant as ever! Both Allyson and Cooper have been going crazy over this title. Ally enjoys the Extreme Sports and Squid Baby episodes and Cooper doesn't have a favorite. They both sit... laughing... together! I couldn't ask for anything more as a mom. Thank you once again, Spongebob Squarepants! 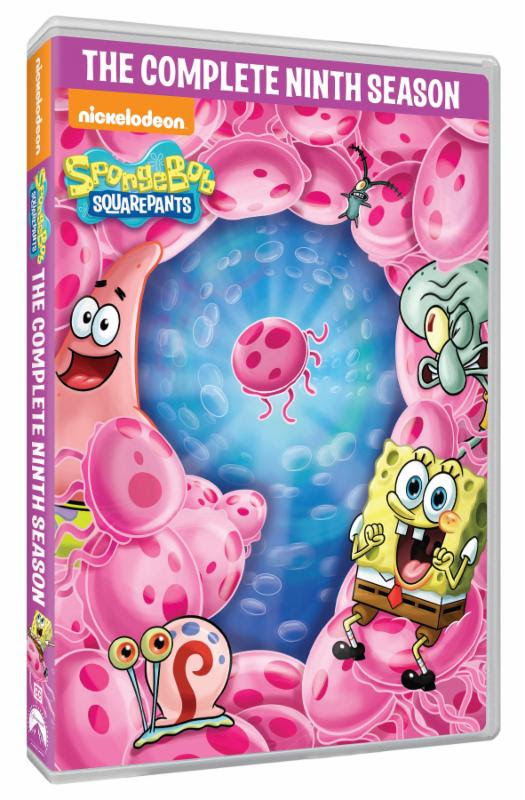 Spongebob Squarepants: The Complete Ninth Season is available for purchase today! It's perfect for any old Tuesday or for Christmas. Just make sure you grab a copy for your collection. This review is based strictly on my own opinion. Others may have different opinions or experiences with the products mentioned above. I was compensated by the company or a PR Agency. I have provided my open and honest opinions.